Why Haven't We Solved Hunger in the U.s.? Chronic hunger and food insecurity trends across the U.S. have not changed, despite the rise of charity. Food banks and food pantries were meant to be a stopgap measure, but manufacturing jobs never came back, recession followed, and the “emergency food system” became an industry. In Big Hunger, author Andrew Fisher argues that many key anti-hunger advocates are missing an essential element of the problem: economic inequality driven by low wages. His research finds that efforts to end hunger, reduce obesity, and reform farm subsidies are compromised by corporate interests. Encouragingly, Big Hunger sets forth a vision for what we can do to put food banks out of business and solve hunger. Food Banks Feed People. Why don't they fight hunger? Everyone knows that food banks feed hungry people. There are more than two hundred of them in the United States, usually working as large distribution depots that supply regional charities through a hub-and-spoke system. Why Food Waste Can Only Remedy- Not Solve- Hunger. In his new book food security expert Andrew Fisher argues that it’s time to take a deeper look at what the anti-hunger movement is really achieving in the U.S.
"Andrew Fisher follows in the tradition of Nestle (2002), Patel (2007), Pollan (2006), Schlosser (2001), and Winne (2008) by writing critically about the political economy of food for a general, non-academic audience." Currently touring the UK with his book, Big Hunger, community food campaigner Andy Fisher of Portland, Oregon, claims the relationship between corporations and food aid in the US is not always as healthy or as charitable as it seems. "We have pretended that the problem is hunger and not poverty. We’ve pretended that the solution to hunger is charity, not ensuring the right to food or increasing the political power of the poor." In 1994, Andy Fisher co-founded and led the Community Food Security Coalition (CFSC), a first of its kind national alliance of hundreds of groups working on urban food access and local food. Fisher led CFSC as Executive Director for 17 years, creating and gaining momentum for the concept of community food security while building the food movement as a whole. He successfully led advocacy efforts and passage of crucial federal nutrition legislation to address food security, including the establishment of the Community Food Projects and Farm to School grants. 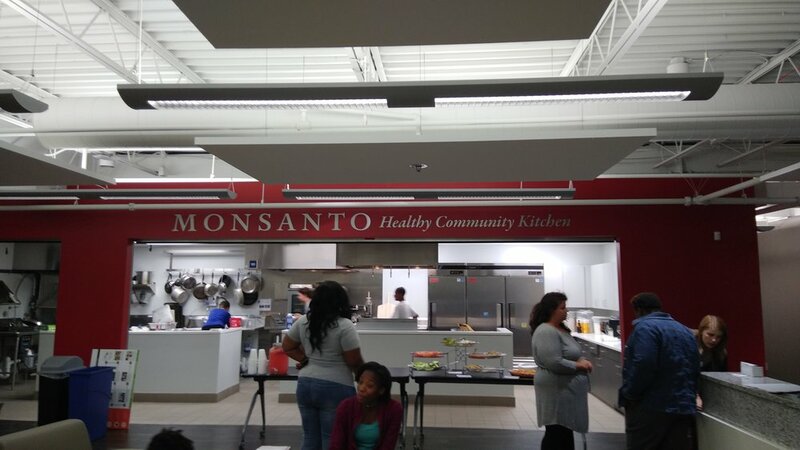 Fisher has worked on a variety of food system topics and tactics, including food policy councils, community food assessments, healthy corner stores, coalition building, and farm to cafeteria programs. Fisher is an activist, NGO consultant, and has worked as an adjunct professor at various universities in Oregon. His book, Big Hunger, is the launch for a new vision for how to untangle corporate interests from food banks and the anti-hunger movement. “If you are an anti-hunger activist, you should read Big Hunger. It may make you mad, and it will definitely make you think." The time is ripe for change in the hunger movement.